When it comes to quintessential mountain chalets set amongst spectacular alpine scenery, Switzerland is hard to beat. Whether you are looking for ski chalets in Zermatt or a chalet in Adelboden, you will not be disappointed. A perceived drawback is that many people still believe that Switzerland is expensive. But Swiss prices are generally lower than those in France. And although some of the upmarket resorts such as St Moritz and Verbier ski establishments can be pricey for food and drink, many others are competitively priced, which makes them generally cheaper than most major French places. The quality of service throughout Switzerland is generally high, and public transport runs like clockwork. Many Swiss resorts have impressive ski slopes, including some of the biggest, highest and toughest runs in the Alps, as well as a lot of good intermediate terrain. Switzerland has also gone out of its way to attract snowboarders. Davos for example may host huge economic conferences but only yards away are the Bolgen slopes training kickers and some of the best terrain parks. Let Simply Alpine Chalets help you find your perfect Swiss holiday accommodation. We currently offer ski accommodation in 65 Swiss alpine resorts. With so many great places to go snowboarding or skiing in Switzerland, such as Saas Fee or Crans Montana we are confident you will find the chalet or apartment that meets your holiday requirement and will not leave disappointed. Residences Grimentz 977 offers comfortable holiday rental accommodation in Grimentz on a Self catering basis. Residences Grimentz 977 is a 4 bedroom summer alpine apartment that can comfortably accommodate 8 people. Chalet 907 is located in the Swiss resort of Grimentz. This chalet has 5 bedrooms and can accommodate upto 10 people on a Self catering basis. The property also features a Fireplace, TV and Wifi. Featuring a TV and Wifi, Vermala-Soleil A/B offers comfortable holiday rental accommodation in Crans Montana on a Self catering basis. Vermala-Soleil A/B is a 3 bedroom apartment that can comfortably accommodate 8 people. Barzettes-Vacances B is a 3 bedroom apartment that can comfortably accommodate 6 people. Conveniently located near to the pistes of the Swiss resort of Crans Montana it is available on a Self catering basis. The property also features a TV and Wifi. Offering holiday accommodation in Bleniotal on a Self catering basis, Irene is a 4 bedroom chalet that can comfortably accommodate 11 people. The property also features a TV and Wifi. Residence Le Pracondu is located in the Swiss resort of Nendaz. This apartment has 5 bedrooms and can accommodate upto 12 people on a Room only basis. The property also features a Sauna and Wifi. Located in the Swiss resort of Crans Montana. Violettes Vacances B has 3 bedrooms and can accommodate upto 8 people on a Self catering basis. This apartment also features a TV and Wifi. This 3 bedroom chalet is located in the Swiss resort of Crans Montana. Available on a Self catering basis, Chalet no10 can sleep upto 6 people. This chalet also features a Fireplace, TV and Wifi. Featuring a Fireplace, TV and Wifi, Snowbird offers comfortable holiday rental accommodation in Crans Montana on a Self catering basis. Snowbird is a 2 bedroom apartment that can comfortably accommodate 6 people. Offering holiday accommodation in Nendaz on a Self catering basis, Bouleaux I4 is a 3 bedroom apartment that can comfortably accommodate 9 people. The property also features a Fireplace, TV and Wifi. A 3-bedroom apartment which can sleep 6, situated in the resort of Crans Montana in Switzerland. Violettes-Vacances A/B/C has a Fireplace, TV and Wifi, and is available for holiday rent on a Self catering basis. A 4-bedroom chalet which can sleep 8, situated in the resort of Crans Montana in Switzerland. Chalet Bouton dOr has a Sauna, Fireplace and Wifi, and is available for holiday rent on a Room only basis. Haus Santa Lucia offers comfortable holiday rental accommodation in Saas Grund on a Room only basis. Haus Santa Lucia is a 9 bedroom chalet that can comfortably accommodate 22 people. Offering holiday accommodation in Nendaz on a Self catering basis, Rossignol C4 is a 2 bedroom apartment that can comfortably accommodate 6 people. The property also features a TV and Wifi. A 2-bedroom apartment which can sleep 6, situated in the resort of La Tzoumaz in Switzerland. La Gouille has a Fireplace and Wifi, and is available for holiday rent on a Room only basis. Offering holiday accommodation in Nendaz on a Self catering basis, Bel Alp D3 is a 3 bedroom apartment that can comfortably accommodate 8 people. The property also features a TV and Wifi. A 1-bedroom apartment which can sleep 4, situated in the resort of Nendaz in Switzerland. Baccara A1 has a Fireplace, TV and Wifi, and is available for holiday rent on a Self catering basis. Offering holiday accommodation in Nendaz on a Self catering basis, Digitalis is a 4 bedroom chalet that can comfortably accommodate 10 people. The property also features a Fireplace, TV and Wifi. This 4 bedroom apartment is located in the Swiss resort of Crans Montana. Available on a Self catering basis, Antares can sleep upto 8 people. This apartment also features a Sauna, TV and Wifi. Offering holiday accommodation in Flims Laax Falera on a Room only basis, MIRASOL is a 3 bedroom apartment that can comfortably accommodate 8 people. Conveniently located near to the pistes of the Swiss resort of Veysonnaz. Chalet Aeolus has 5 bedrooms and can accommodate upto 12 people on a Room only basis. This chalet also features a Fireplace and Wifi. Chalet Luca is a 4 bedroom chalet that can comfortably accommodate 8 people. Conveniently located near to the pistes of the Swiss resort of La Tzoumaz it is available on a Room only basis. The property also features a Sauna, Fireplace and TV. This 1 bedroom apartment is located in the Swiss resort of Crans Montana. Available on a Self catering basis, Armorial can sleep upto 4 people. This apartment also features a TV and Wifi. Offering holiday accommodation in Breil on a Room only basis, Ferienhaus Casa Patricia van Putten Brigels is a 5 bedroom apartment that can comfortably accommodate 10 people. The property also features a Hot tub, Fireplace and Wifi. Featuring a Pool, Sauna and Wifi, Rocksresort offers comfortable holiday rental accommodation in Laax on a Room only basis. Rocksresort is a 3 bedroom apartment that can comfortably accommodate 6 people. Located in the Swiss resort of Nendaz. Le Cret 2 has 1 bedroom and can accommodate upto 4 people on a Self catering basis. This apartment also features a TV and Wifi. Offering holiday accommodation in Nendaz on a Self catering basis, Cerisiers Hrez is a 2 bedroom apartment that can comfortably accommodate 6 people. The property also features a TV and Wifi. Located in the Swiss resort of Nendaz. Crocus has 4 bedrooms and can accommodate upto 10 people on a Self catering basis. This chalet also features a Fireplace, TV and Wifi. Located in the Swiss resort of St Moritz. Residenz Cresta Kulm B26 has 4 bedrooms and can accommodate upto 8 people on a Self catering basis. This apartment also features a Fireplace, TV and Wifi. Featuring a TV and Wifi, Grand-Roc offers comfortable holiday rental accommodation in Crans Montana on a Self catering basis. Grand-Roc is a 2 bedroom apartment that can comfortably accommodate 6 people. Le Gros Caillou is located in the Swiss resort of Zermatt. This chalet has 3 bedrooms and can accommodate upto 7 people on a Self catering basis. Les Pierres C is a 3 bedroom apartment that can comfortably accommodate 6 people. Located in the Swiss resort of Crans Montana it is available on a Self catering basis. The property also features a TV and Wifi. A 3-bedroom apartment which can sleep 6, situated in the resort of Crans Montana in Switzerland. Violettes Vacances B has a TV and Wifi, and is available for holiday rent on a Self catering basis. Offering holiday accommodation in Nendaz on a Self catering basis, Derborence 25 is a 1 bedroom apartment that can comfortably accommodate 4 people. The property also features a Pool, Sauna, TV and Wifi. Located in the Swiss resort of Nendaz. Nid daigle E1 has 1 bedroom and can accommodate upto 4 people on a Self catering basis. This apartment also features a TV and Wifi. Haus Quelle is located in the Swiss resort of Saas Grund. This apartment has 4 bedrooms and can accommodate upto 11 people on a Room only basis. The property also features a Pool, Sauna and Wifi. Offering holiday accommodation in Laax on a Room only basis, HAUS 3 is a 4 bedroom apartment that can comfortably accommodate 8 people. Rustico Conceprio is a 3 bedroom summer alpine chalet that can comfortably accommodate 6 people. Conveniently located near to the pistes of the Swiss alpine resort of Bleniotal it is available on a Room only basis. The property also features a Sauna, Fireplace and Wifi. Lani is located in the Swiss resort of Zermatt. This apartment has 5 bedrooms and can accommodate upto 12 people on a Self catering basis. The property also features a Fireplace, TV and Wifi. Bardane is a 4 bedroom chalet that can comfortably accommodate 8 people. Located in the Swiss resort of Nendaz it is available on a Self catering basis. The property also features a Fireplace, TV and Wifi. Located in the Swiss resort of Bleniotal. Katono has 1 bedroom and can accommodate upto 5 people on a Self catering basis. This chalet also features a Fireplace, TV and Wifi. Featuring a Sauna, Hot tub, Fireplace, TV and Wifi, Chalet Nepomuk offers comfortable holiday rental accommodation in Zermatt on a Room only basis. Chalet Nepomuk is a 4 bedroom apartment that can comfortably accommodate 8 people. Conveniently located near to the centre of the Swiss resort of Nendaz. Beau-Sejour no 24 has 1 bedroom and can accommodate upto 4 people on a Self catering basis. This apartment also features a TV and Wifi. 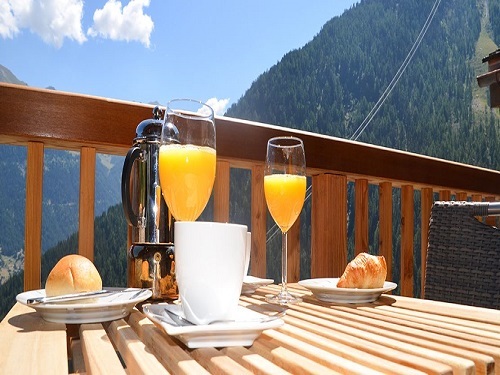 Haus Ingrid is a 1 bedroom summer alpine chalet that can comfortably accommodate 5 people. Conveniently located near to the pistes of the Swiss alpine resort of Bleniotal it is available on a Room only basis.